One (1) winner will be awarded a four (4) days and three (3) nights in Atlanta, GA for winner and one (1) guest including: roundtrip flights from winners’ nearest major U.S. airport to Atlanta, GA; roundtrip airport transfers in Atlanta; 3 nights’ luxury hotel accommodation in Atlanta; Atlanta movie tour exploring the city’s iconic locations including expert guide; private Atlanta sports tour including transportation and expert guide; tickets to winner’s choice of top sporting event in Atlanta; helicopter tour of city including roundtrip transfers; and dinner and drinks at a top restaurant. (Total ARV: $4,975) This sweepstakes runs from 1/25 thru 2/21, and the winners will be randomly selected on or about 3/3. For full sweepstakes rules and prize description, see the link below. 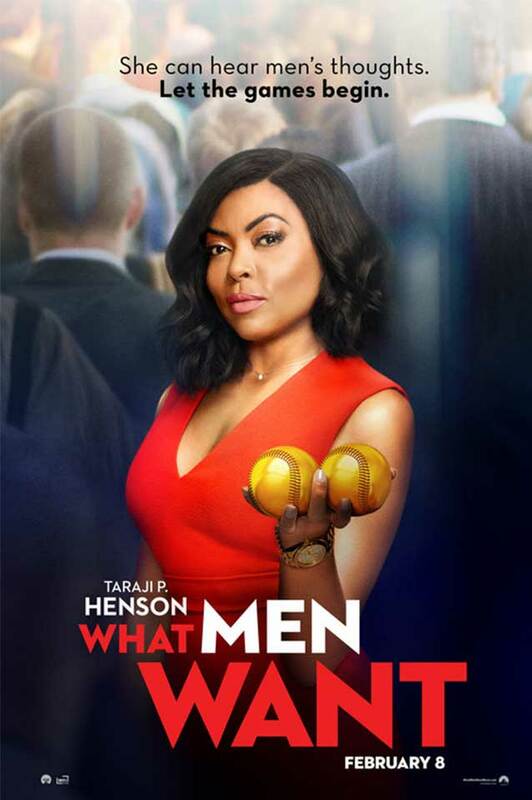 What Men Want - A woman is boxed out by the male sports agents in her profession, but gains an unexpected edge over them when she develops the ability to hear their thoughts.